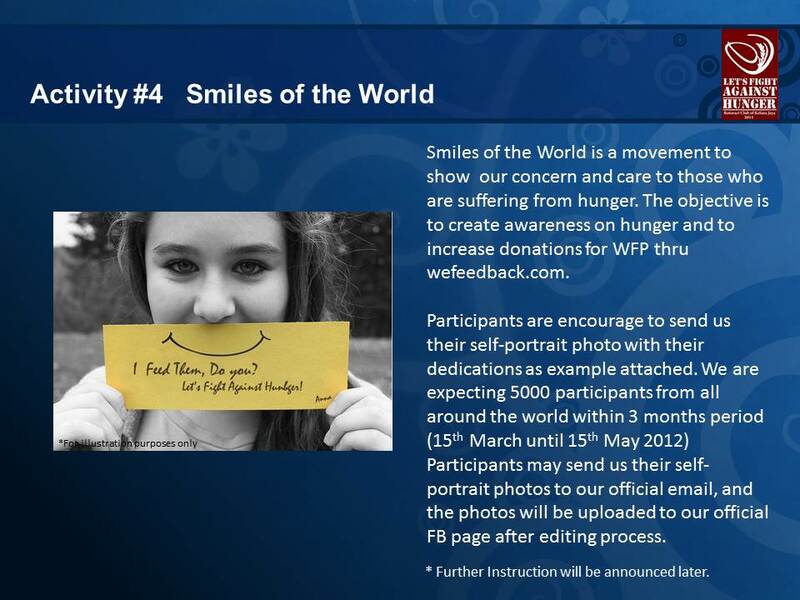 1.1 Smiles of the World is a movement to show our concern and care to those who are suffering from hunger. 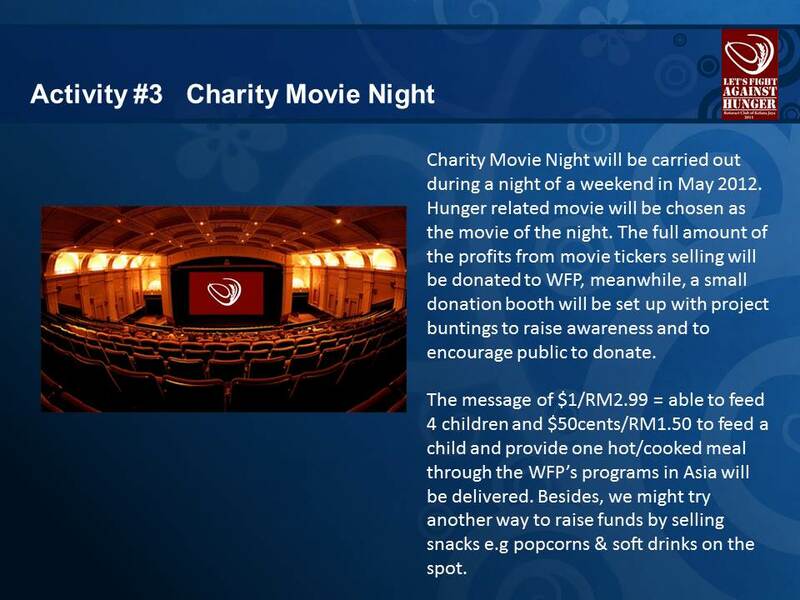 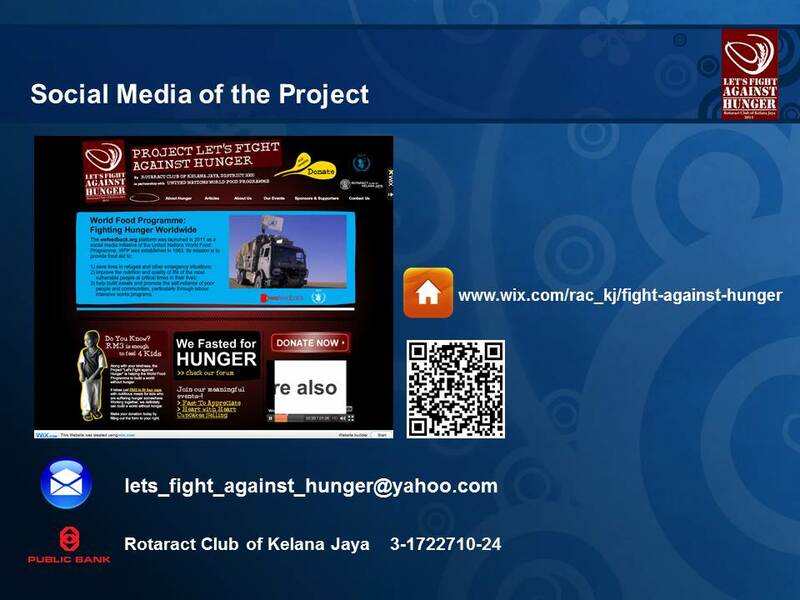 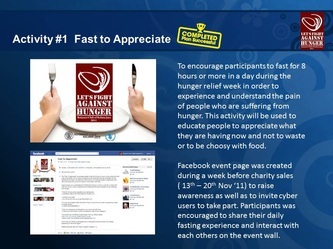 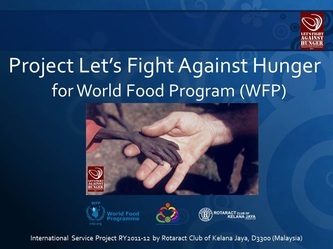 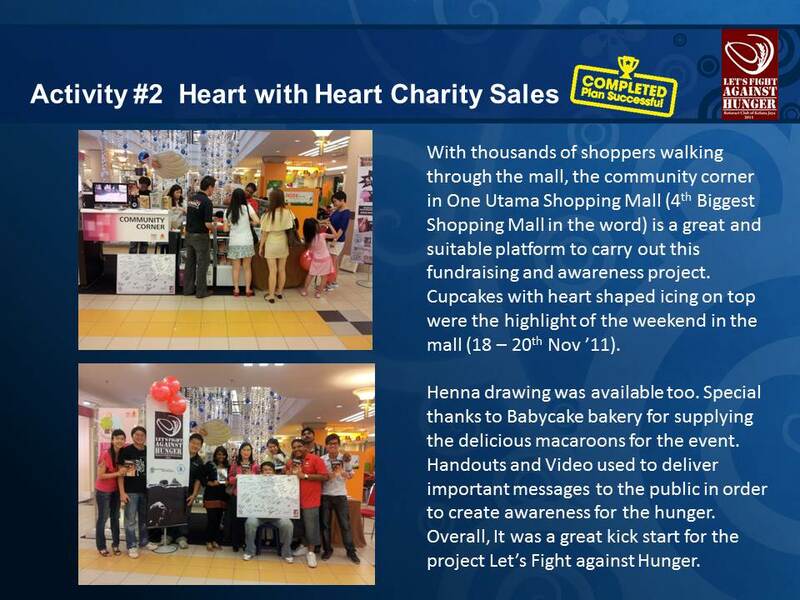 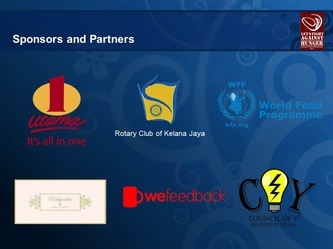 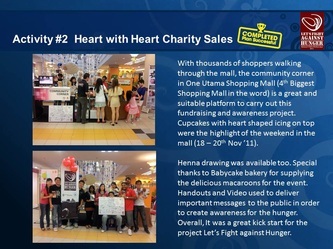 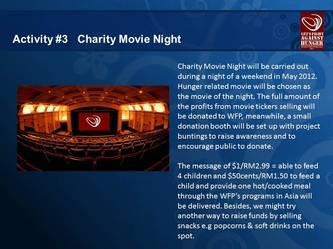 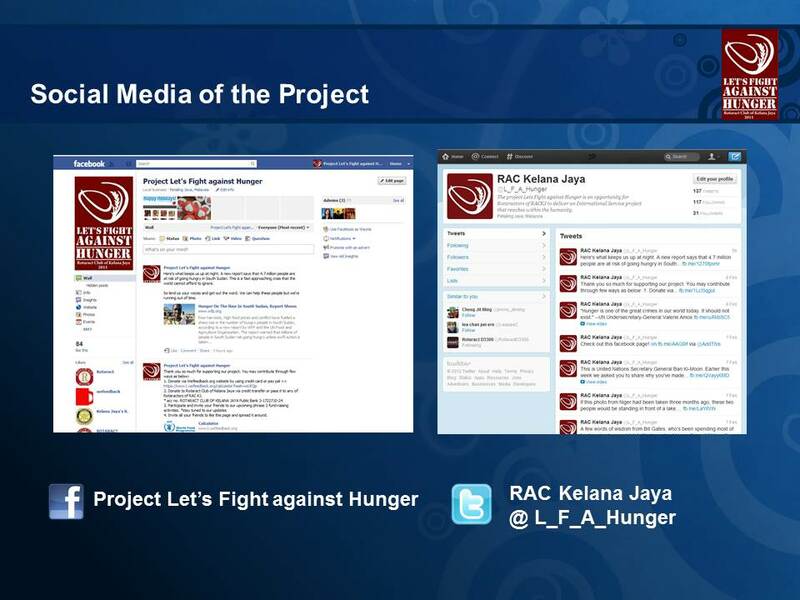 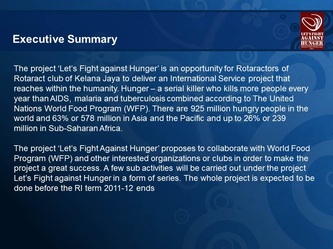 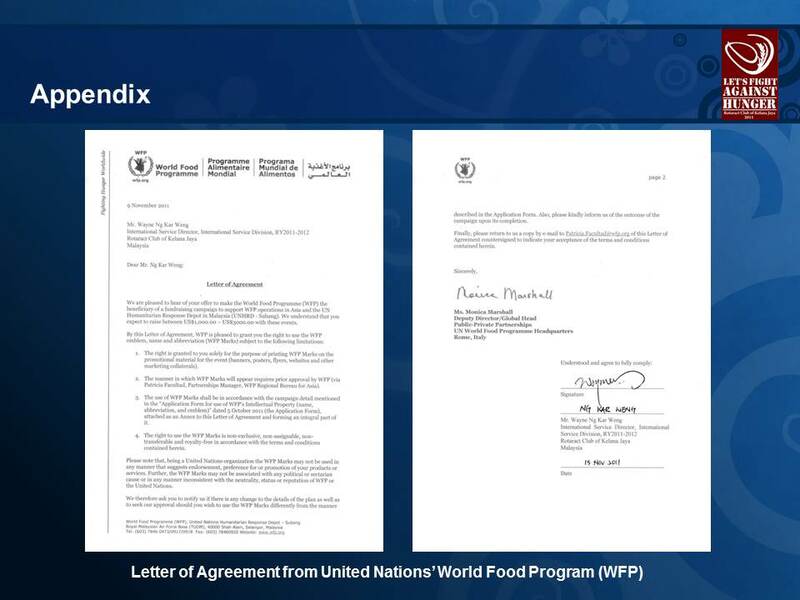 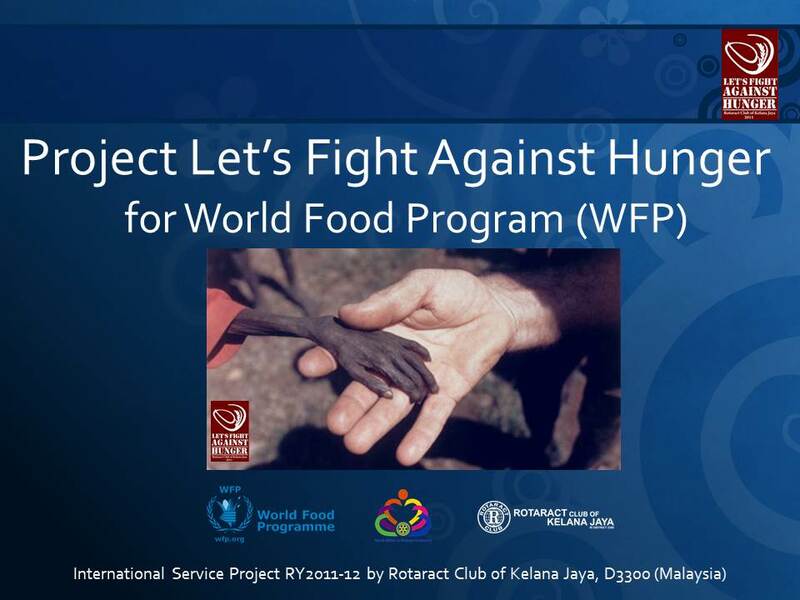 The objective is to create awareness on hunger and to increase donations for WFP through wefeedback.com. 1.2 Participants are encouraged to send in their self-portrait photo with their dedications (see Appendix A). 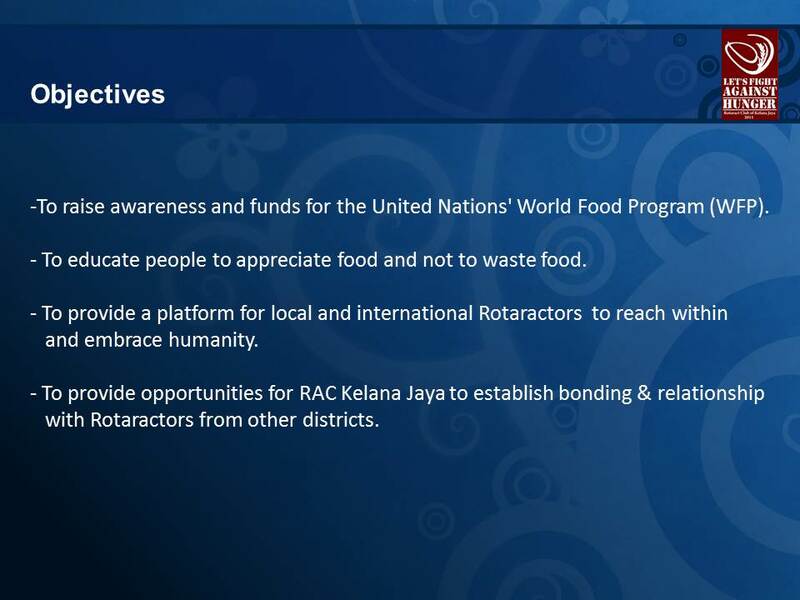 Five thousand participants from all around the world are expected to take part. 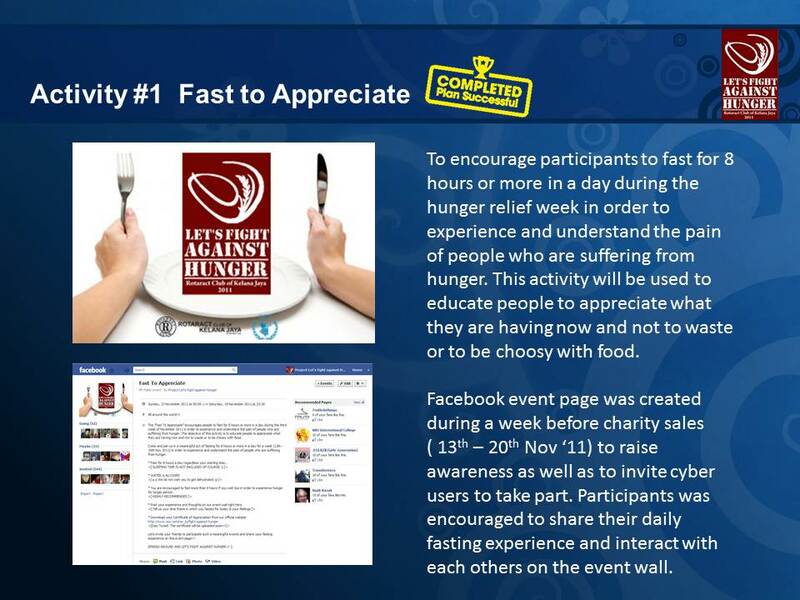 Step 1: Write your dedication related to fight against hunger on a piece of paper/card. 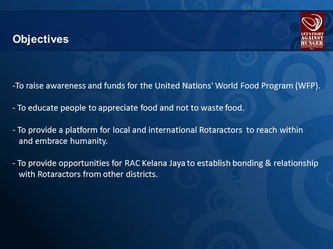 Personal creativity applies. 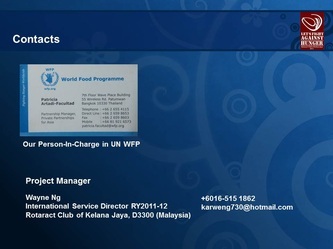 (See example of photo in Appendix A). 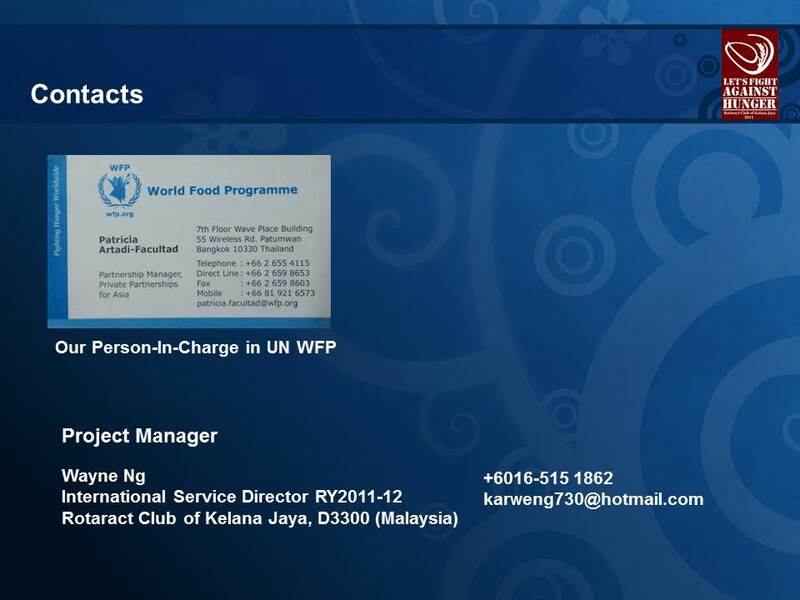 Step 4: Label each of the photo (JPEG file format only) with organization acronym follow by numbering (See Appendix B, circled in yellow). 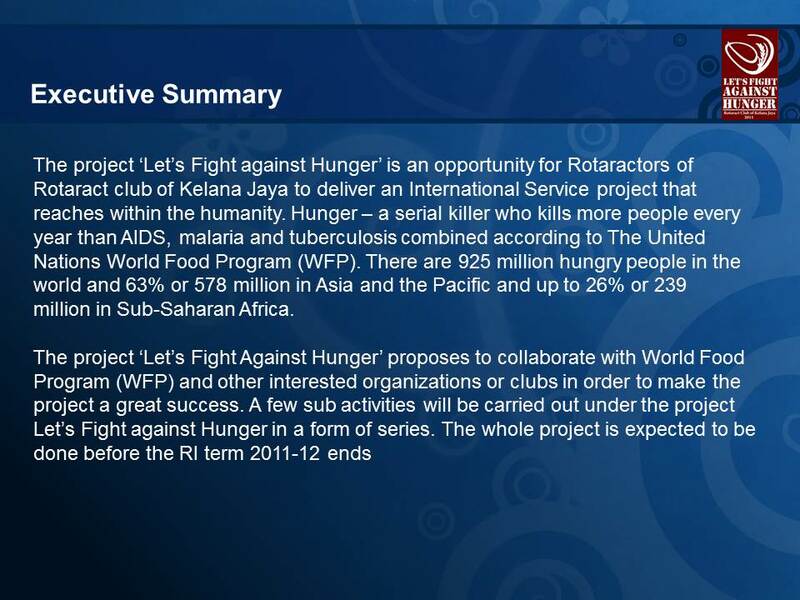 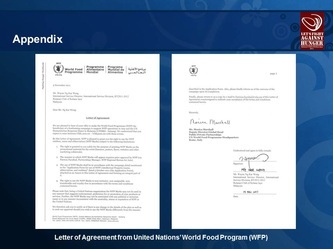 Step 5: Fill in the details of each of the participants in the excel file according to the example as shown in Appendix C.
(e) The photos will then be gathered, edited (see Appendix D) and uploaded to the official Facebook page of Project Let’s Fight Against Hunger. 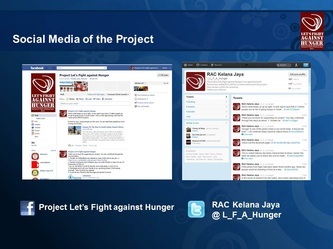 (f) All photos must reach us (RACKJ) via email by 16 May 2012. 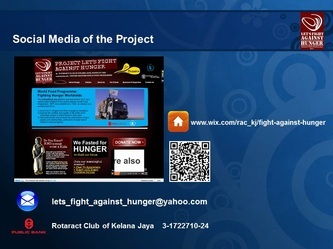 The photos will also be used to make a collage.